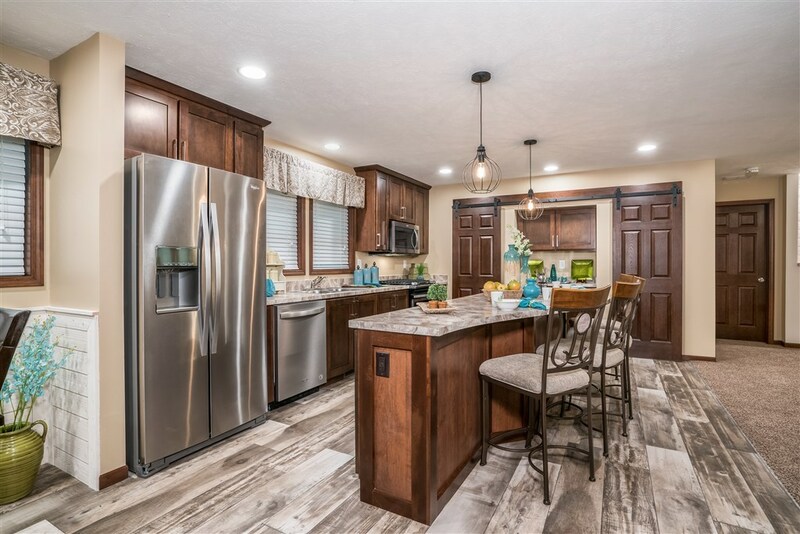 Commodore Homes of Indiana is a leading builder of system-built, high-performance modular and manufactured homes in the Midwest United States. Well known for our innovative designs, energy efficiency, superior construction, and outstanding service and support, Commodore Homes of Indiana also specializes in custom homes. Discover why so many new homeowners recommend Commodore Homes. We believe what you can't see matters! This will be your home - why settle for something less? We offer unparalleled construction processes, awesome cabinets, an industry-leading heating system, and dozens of improvements that make Commodore Homes a good choice for your home. Beautiful, durable cabinets for your kitchens and baths. Our Evermore Custom Cabinetry are built like brand-name cabinets, with dovetail drawers and ball-bearing guides for extra quality. Commodore Homes of Indiana is a division of The Commodore Corporation with roots since 1952. We build homes across the Midwest including the following states: Illinois, Indiana, Michigan, Ohio, Wisconsin, Iowa, Kansas, Kentucky, Minnesota, Missouri, Nebraska, North Dakota, South Dakota, West Virginia, Tennessee, Montana, and Wyoming. A family-owned business, The Commodore Corporation has its roots from 1952. We continually strive to support our builders, retailers, homeowners, and future customers. We'll answer your calls and emails promptly, and do our best to meet your expectations. Please contact us if we can be of any help.